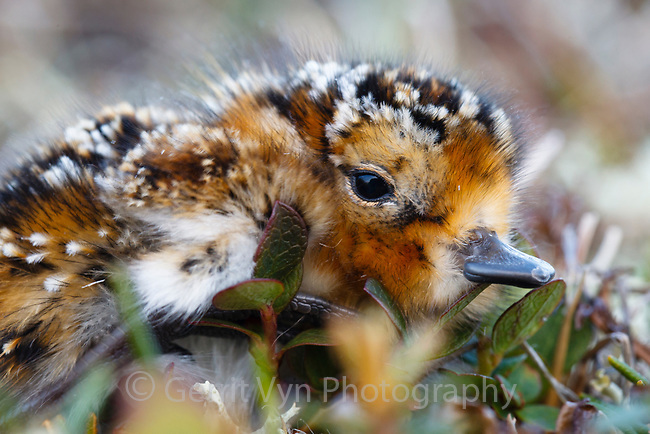 Newly hatched Spoon-billed Sandpiper chick. If it survives, within a couple of months, this young bird will migrate on its own to wintering grounds 6000km away. Chukotka, Russia. July.